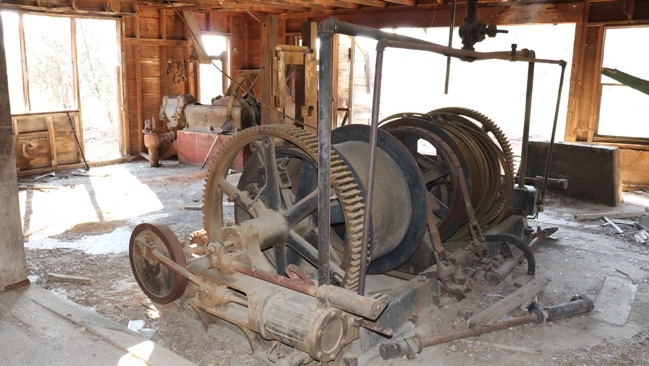 Part two: antique equipment and interesting mines! 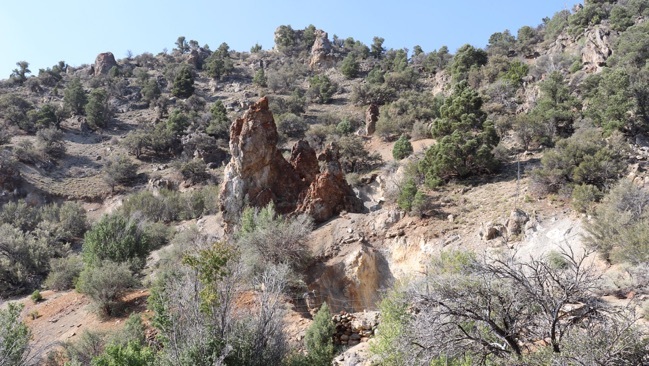 Above: Jagged rock formations and an open mine shaft at the Croesus Mine, NV. The Croesus Mine, aka the Eureka-Croesus Mine, was built in 1917 on earlier claims dating back to the 1870s. Using newer, more efficient, technology and methods, they were able to make a profit from ores that had previously been unprofitable. However, the mine was hit hard by the silver crash of 1920, which saw a huge drop in the price of silver, and in 1923 the mine shut down. 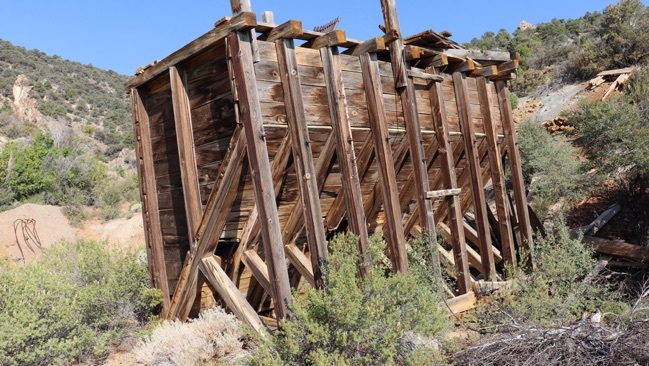 Originally there were several structures here, but now only the hoist house and ore bin remain. 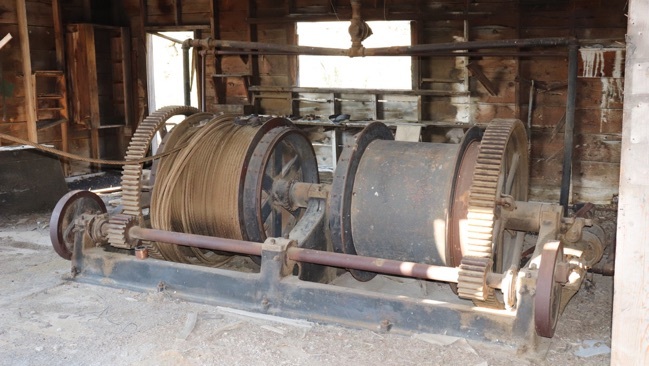 The hoist house contains some fascinating vintage equipment, including an air-powered, double-drum hoist; and an Ingersoll-Rand 2-stage compressor. 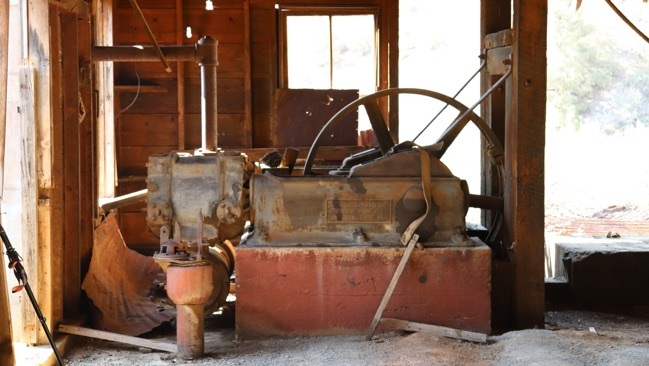 The compressor was originally powered by a 60hp Fairbanks-Morse gasoline engine, but that engine is now missing. 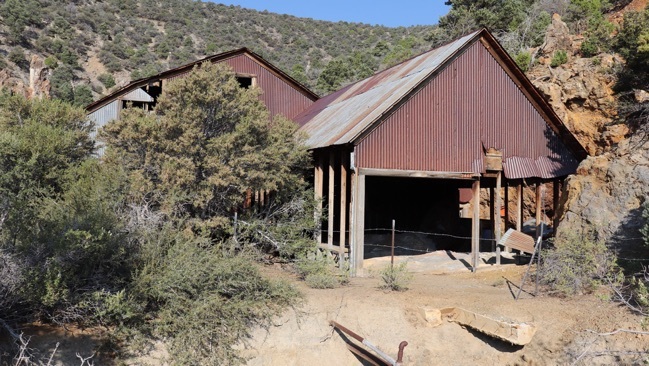 Click here to see a video tour of the Croesus Mine, NV. Above: A large wooden ore bin below the mine. The base of the ore bin has collapsed. Below: A view of the ore bin and my campsite, seen from the level of the mine. 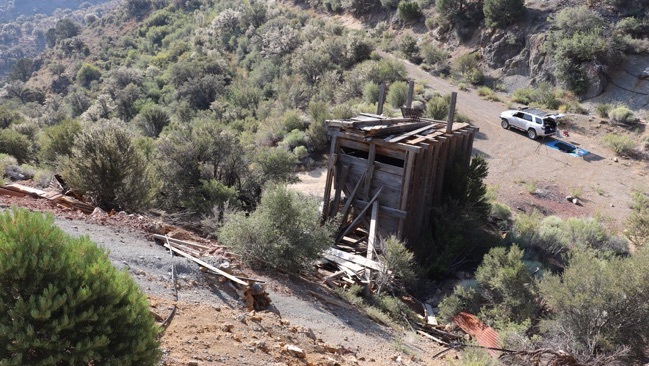 There used to be a wooden trestle leading from the mine to the ore bin, but the trestle has fallen apart. Above: The only building still standing is this large structure, which housed the hoist, air compressors, and other equipment. Originally a smaller building, it was later expanded to its current size. Oddly enough, the newer parts of the building are covered with ungalvanized, corrugated metal which has rusted. The older sections have galvanized metal. Above: The double-drum air hoist, with the Ingersoll-Rand compressor in the background. Both of these machines are over one hundred years old. Double-Drum Air Hoist Another look at the double-drum air hoist. 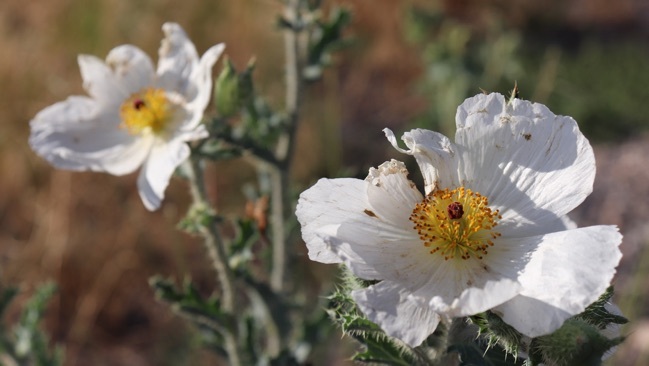 Click the link or photo to see more. Ingersoll-Rand Two-Cylinder Compressor A closer view of the air compressor. Click the link or photo to see more. My next stop was the Eureka Tunnel mine. 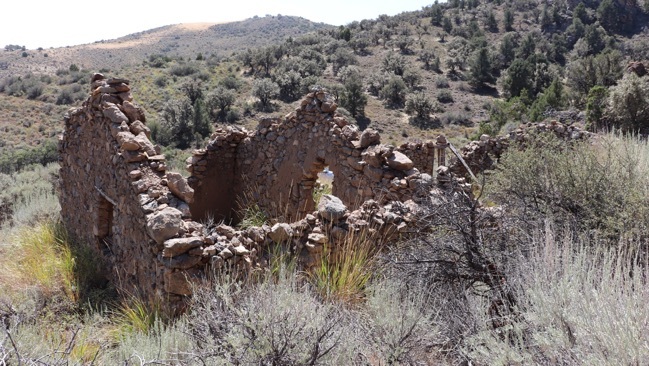 Just before reaching the mine itself, I came across this stone ruin near the mouth of the canyon. I haven’t been able to find out anything of the history of this structure. Since it is close to the Eureka Tunnel mine, I’m including it with that site. However, it’s possible this stone ruin predates the Eureka Tunnel. 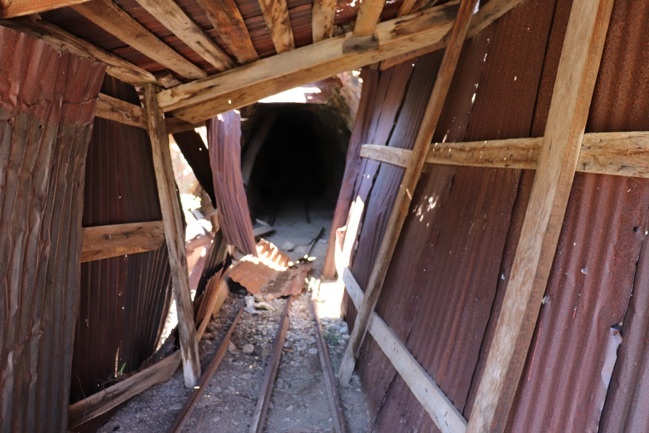 Click here to see a video tour of the Eureka Tunnel Mine, NV. 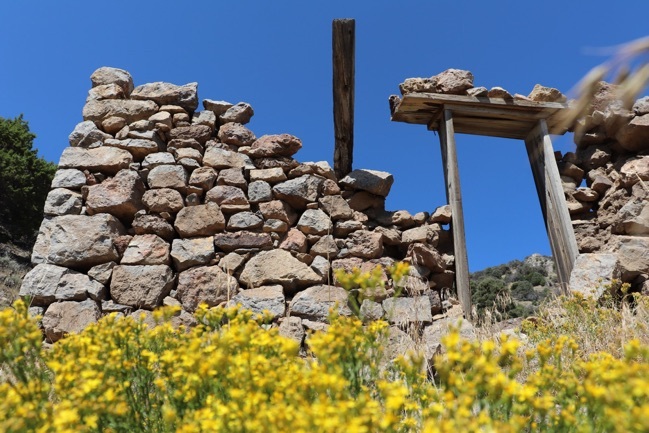 Above: Ruins of a log cabin in upper Ophir Canyon. Below: The Eureka Tunnel mine. 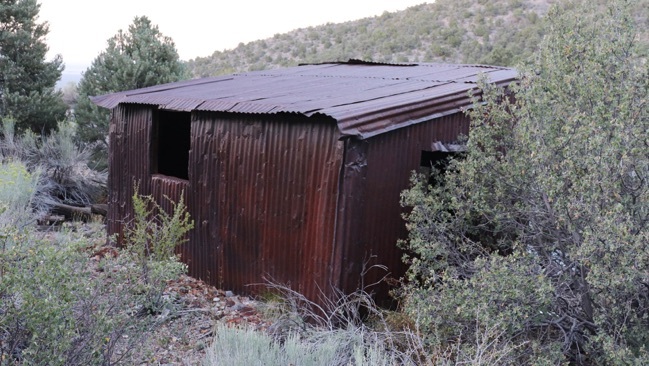 There are two small buildings here covered with rusty corrugated metal. At the far left in this photo is the snow shed protecting the entrance of the mine. In the center is the largest of the two buildings. At far right, partially hidden by the tree, is a smaller building which may have been a blacksmith’s shop. The Eureka Tunnel mine had two periods of production. The first was from 1881 to 1901. There was minor production from 1917 to 1923. The primary ore here was silver. 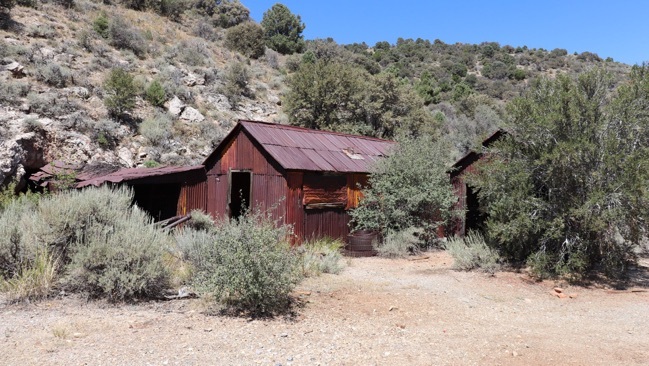 Above: Rear view of the two buildings at the mine. Below: The interior of the larger building. 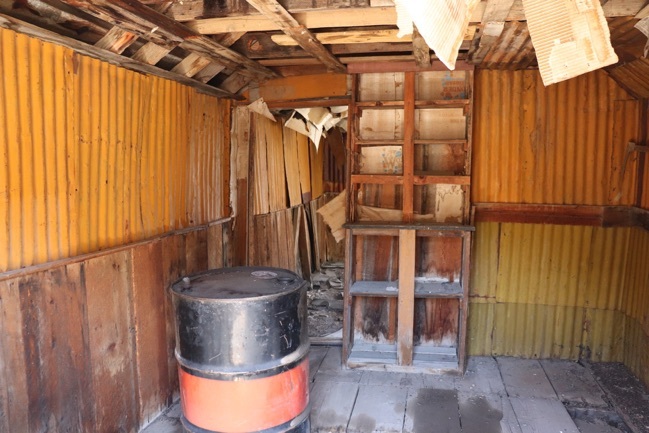 This may have originally been the mine’s office. 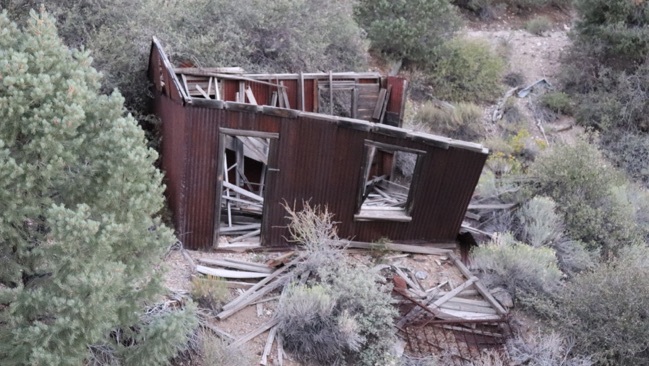 It later years it may have been used as a cabin. Below: A look at the mine, through the snow shed which protects the entrance. The snow shed is in bad shape and beginning to collapse. 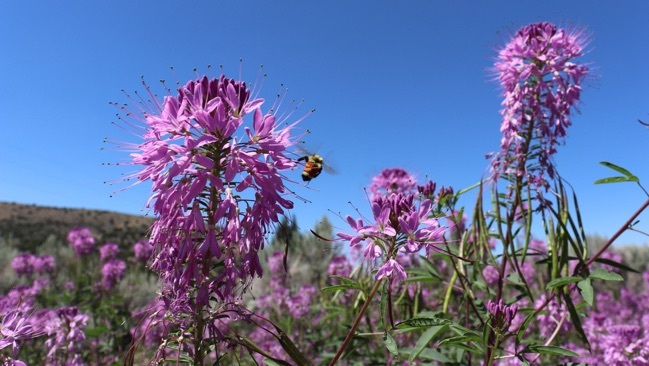 I saw a tremendous amount of wildflowers in bloom during this trip. 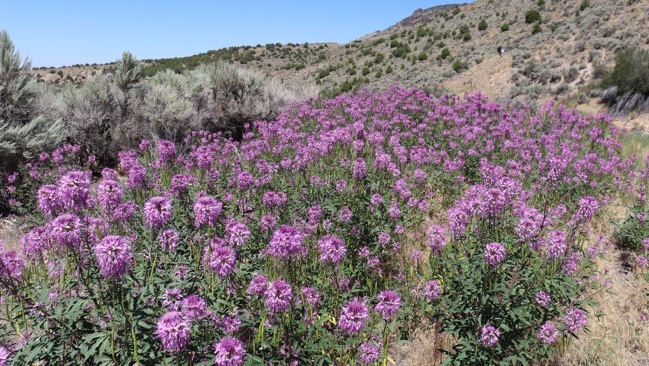 Here are some beautiful purple flowers I saw near Eureka, NV. 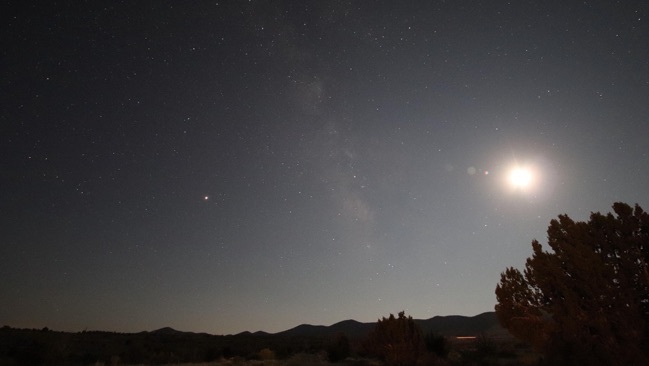 As I headed towards Ely for gas and other supplies, I stopped for a while at Lane City, NV. Lane City is a small collection of ruins a few miles west of Ely, NV. 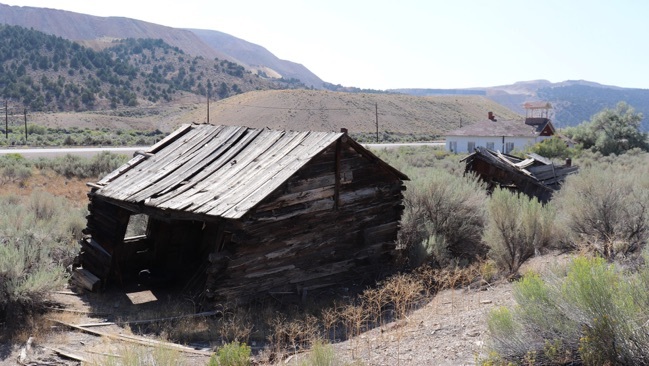 The town began with the discovery of silver ore in 1868, and by 1872 it boasted a population of nearly 600 residents. At that time the town was known as Mineral City. The town experienced the usual cycles of boom and bust, and by 1880 it was essentially dead. Then in 1896 a wealthy investor by the name of Charles D. Lane bought many of the local claims, opened a stamp, constructed a power plant, and made other improvements. During this time the town was renamed Lane City. A post office opened in 1902. By 1910 the mines had shut down again, and the post office closed in 1911. However, the town wasn’t completely abandoned. 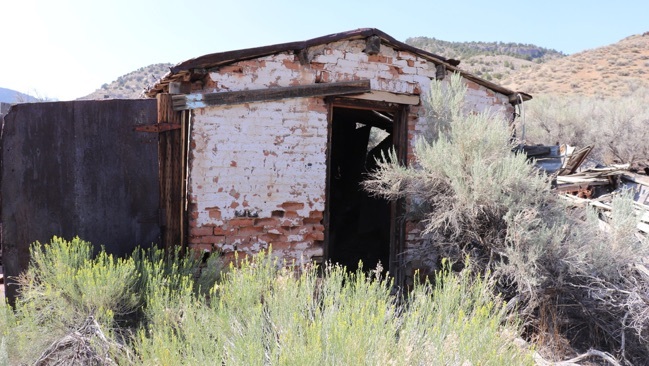 Large-scale copper mining had begun a few years earlier in nearby Ruth, NV and other mines were still active near Ely. Many of the miners who worked at those mines continued to live in Lane City. Through the first half of the 20th century, the town remained occupied, and there is at least one modern house that has been lived in recently. The current ruins are a mix of crumbling stone, brick, and wooden buildings. There is also an old schoolhouse which is still in good condition despite being unused for decades. 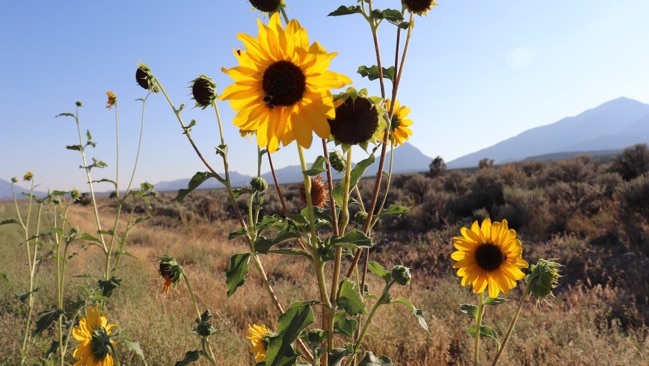 Click here to see a video tour of Lane City, NV. Below: A pair of wooden shacks, with the old schoolhouse in the background. Above: From Ely, I headed south along highway 93 in eastern Nevada. 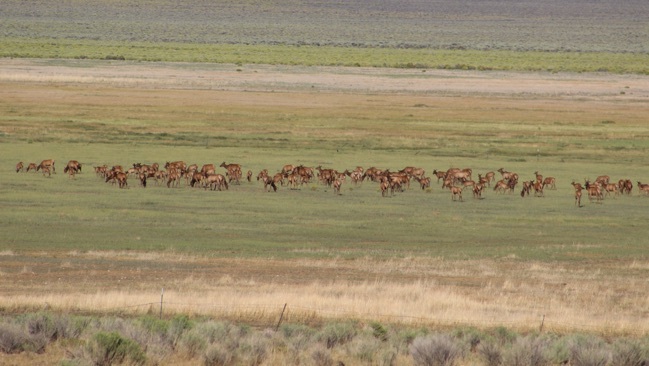 Along the way I spotted a large herd of elk grazing in the valley. 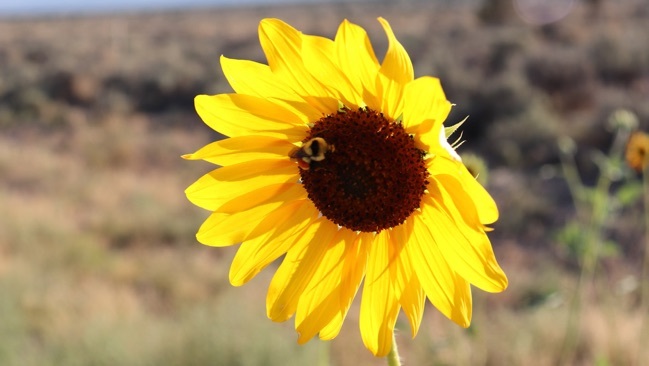 Below: I also saw more wildflowers, including these brilliant sunflowers. 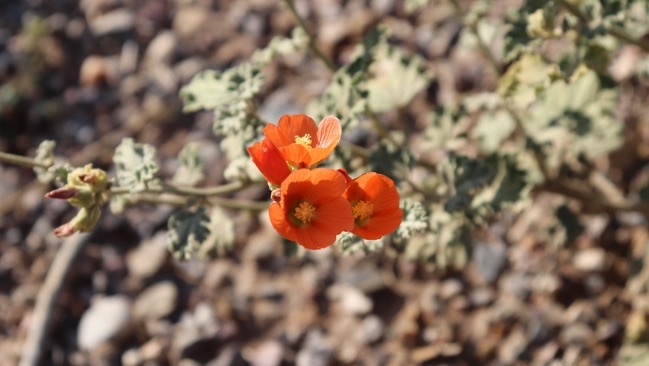 Below: These tiny flowers are apricot mallows. 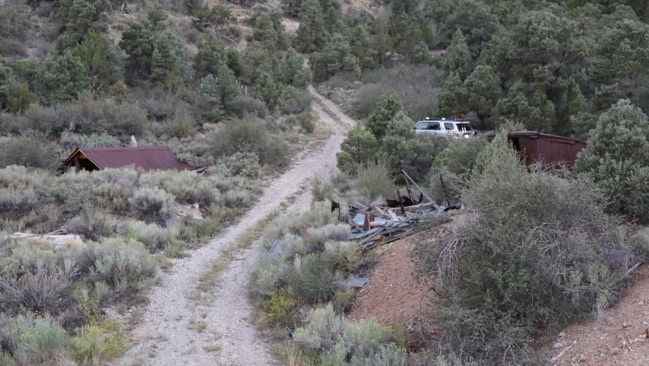 I arrived at the Lucky Star mine late in the day, just before sunset. 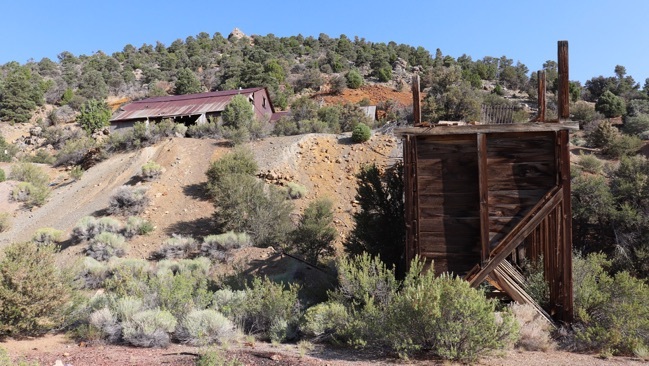 The mine is located high on the side of a mountain, overlooking Lake Valley in eastern Nevada. The primary ore was manganese. The ore was first discovered in 1923, but production didn’t begin until 1953. The only structure at the mine is a tall ore bin of unusual design. 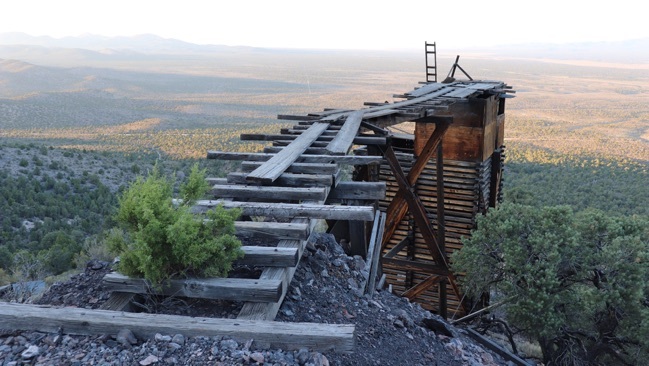 A rickety wooden trestle leads from the mine to the ore bin. 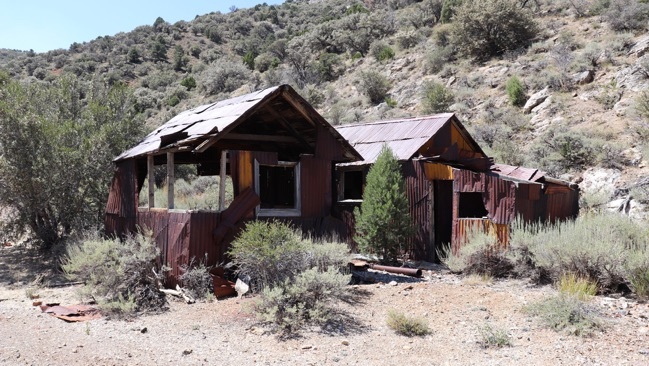 Click here to see a video tour of the Lucky Star Mine, NV. 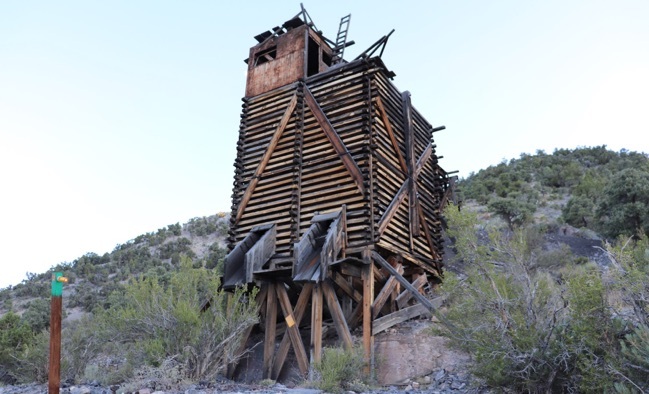 This mine was originally operated as the E & F Mine in the early 1900s. The primary ore was silver. The E & F Mine shutdown in 1907, possibly due to the Silver Panic of that year. The mine reopened as the Ida May in 1918, but was idle gain by 1924. 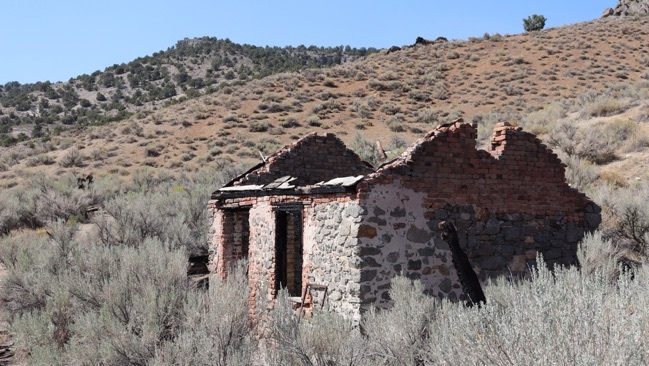 There are ruins of several structures at this mine, but only one small shack is still standing. It was getting dark so I didn’t have time to explore the site more thoroughly. Coming up: The Black Prince Mine, the Mendha Mine, and much more as the adventure continues! Many of the structures I’ve photographed would make great subjects for dioramas, or for your model railroad. It is my hope that these photos can be a useful reference resource. If you need larger, higher resolution images, just let me know. Also, in some cases I have additional detail photos that have not been posted online. 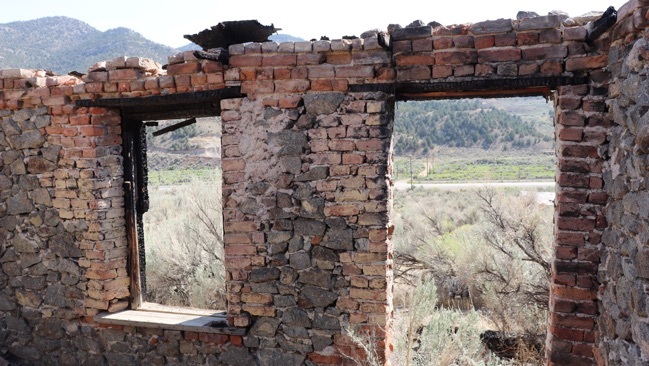 Return to Ghost Towns, Mines, and More!